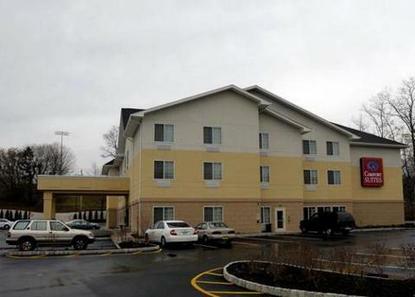 The brand new Comfort Suites of Mahwah offer style and convenience. Our great location allows for an easy drive to all North Jersey and NYC attractions and businesses. 100 percent smoke free facility offers our guest all the convenience needs to make your stay with us comfortable. Our well-appointed guest suites provide WIFI, microwaves and refrigerators plus much more. Enjoy a hot complimentary breakfast each morning along with a complimentary weekday copy of the USA Today. We look forward to serving you soon.